Here's a product from the much anticipated NHL double rookie class. Well, I guess that that was a bit over-hyped. 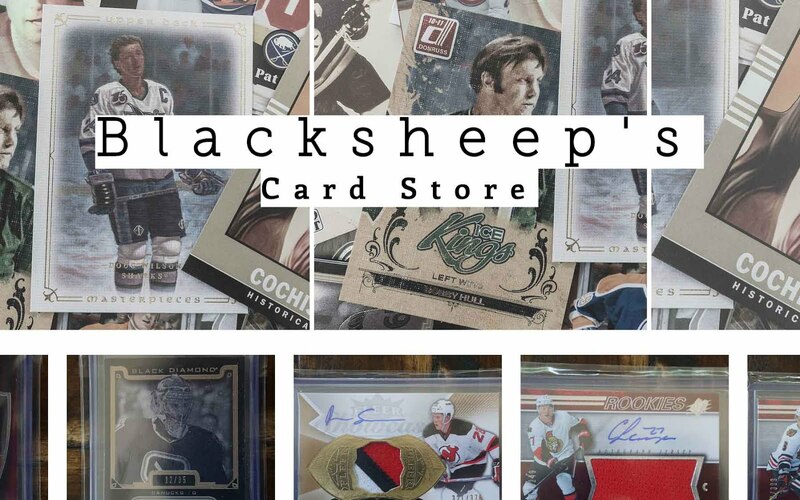 Still, there are some quality cards and products to find from the year after the NHL lockout. 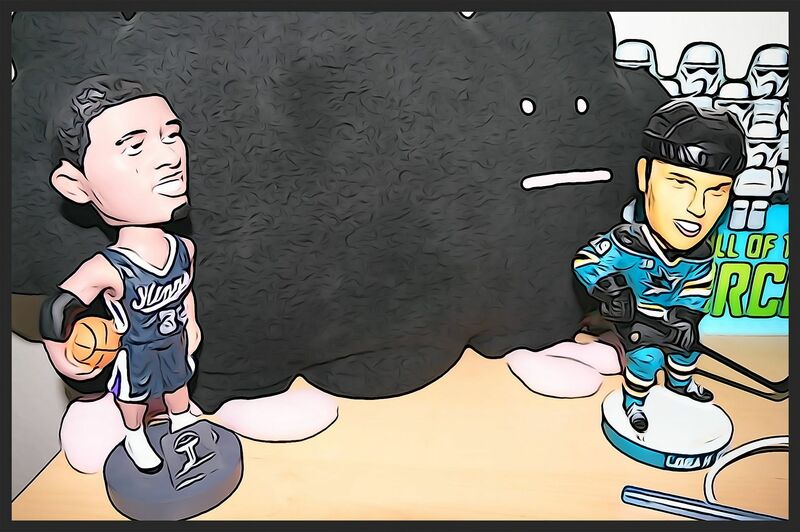 When UD1 came out that year there was a lot of excitement about the Young Guns and players available to find. Upper Deck Series 1 is almost always a pretty solid buy because of the Young Gun potential. This year's biggest Young Gun was Nathan McKinnon. I don't happen to have one so it'd be nice to change that situation with this blaster today. I'm not crossing my fingers though... getting the best Young Gun from a particular year has always been a tough proposition for me. I do, sometimes, get the second or third best Young Gun though! Unlike UD2, UD1 is a little less interesting when it comes to the variety of cards you can find in it. I expect to get a lot of all-base packs when I open up this blaster. I think this blaster was definitely above average... I've definitely gotten worse. I didn't get McKinnon, but I did pull a decent Young Gun out. 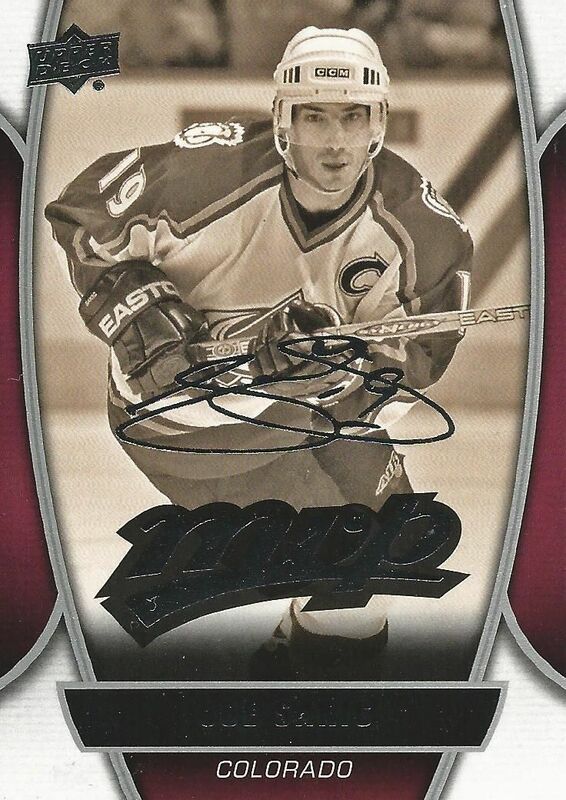 A got a couple of MVP base cards including John Tavares -which was pretty good. My canvas card was of Brian Elliot, and my lesser Young Gun card was of Lucas Lessio. I find that I have been lacking in the area of big canvas card pulls for whatever reason. The canvas cards I tend to get are of players that aren't the big named guys or rookies even. A canvas Young Gun would be really sweet out of a blaster. I just really love the look of this card. The black and white with the border color scheme makes this card really stand out. I know this card isn't worth much, but it definitely shines in the good looks department. This is how MVP base cards should look! Foil cards are always enticing to me as I grew up in the 90's when foil inserts were all the rage. 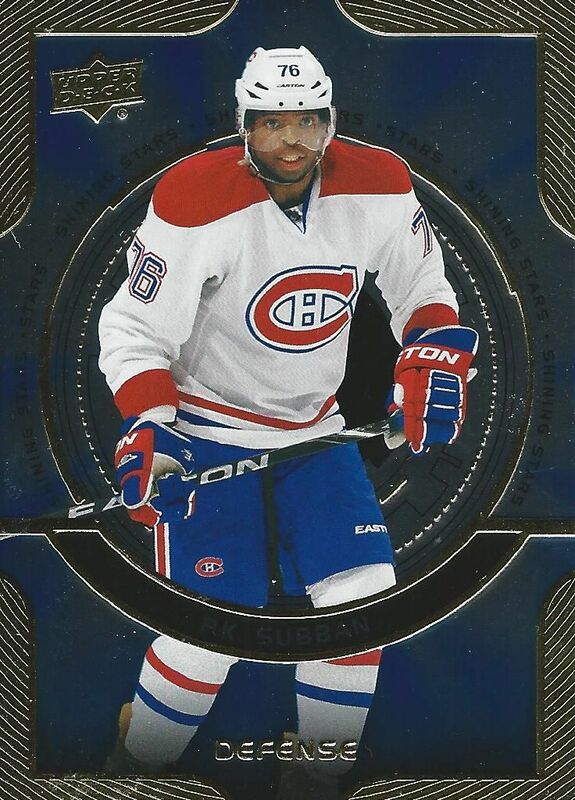 Subban is definitely one of the better defensive players to get out of this set, so I'm pretty happy with this pull. This was a pretty good Young Gun to get out of a blaster. The Flames are an up-and-coming team, and Monahan has been a part of that. No complaints about this pull. For about ten dollars this blaster was good. 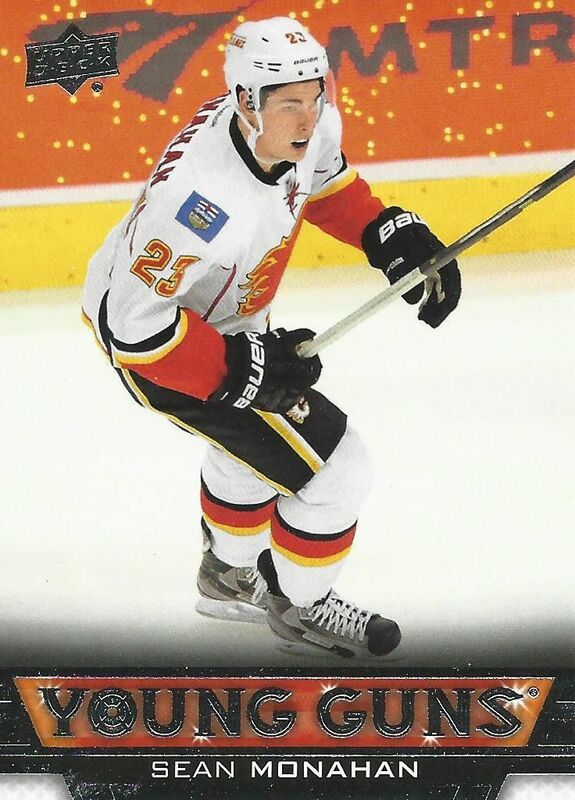 A Monahan Young Gun card is about that much on eBay currently, so I got my money's worth. 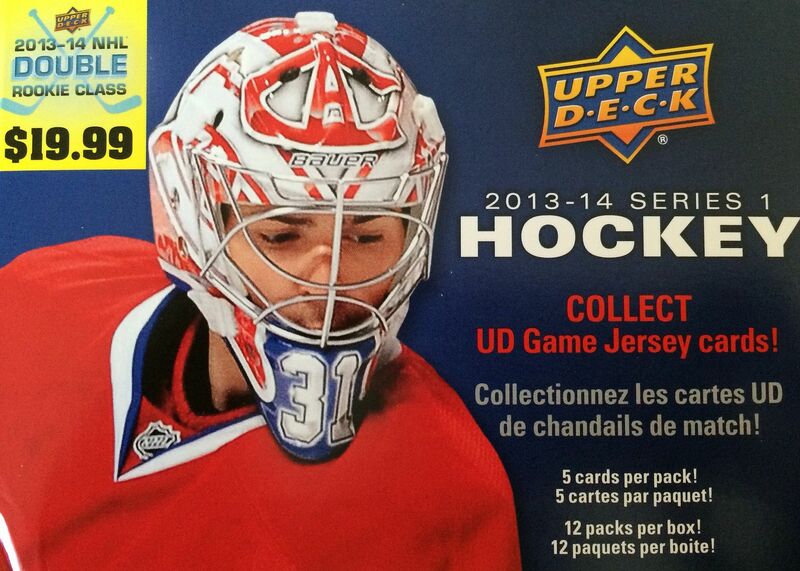 I definitely will be getting more Upper Deck Series One (and Two) products as the Retail Review continue. 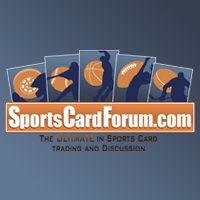 They are a no-brainer buy when searching for a good amount of hockey cards and a nice chance at some cards of value. Also it sells on ebay for $12-20 so you made you're money back!